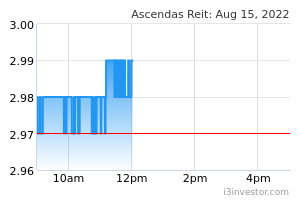 Ascendas REIT (A-REIT) reported its 3QFY19 results which met our expectations. Gross revenue and NPI grew 4.2% and 6.6% YoY to S$226.4m and S$168.0m, respectively. Growth was driven largely by acquisitions and lower property tax expenses, but partially offset by the non-renewals at certain properties in Singapore. DPU inched up 0.7% YoY to 3.998 S cents due to higher management fees and finance costs, coupled with an enlarged unit base. For 9MFY19, A-REIT’s gross revenue rose 2.3% to S$661.1m and NPI increased by 3.1% to S$486.1m. DPU of 11.887 S cents represented a decline of 1.6%, and this constituted 74.3% of our FY19 forecast. Operationally, A-REIT’s portfolio occupancy improved slightly by 0.7 ppt QoQ to 91.3%, as higher occupancy in Singapore helped to offset the decline in Australia. Its UK properties remained fully occupied. Rental reversions were firm, coming in positive at 3.2% overall and for Singapore, as there were no renewals in Australia and UK in 3QFY19. The positive rental uplift was broad-based across the various asset classes, led by Integrated Development, Amenities & Retail (+10.3%), Business & Science Parks (+5.4%) and Light Industrial and Flatted Factories (+4.5%). Separately, A-REIT also announced that it has signed an agreement to design and build Grab’s new headquarters in Singapore. This Build-toSuit project will be located within the one-north business park, have an estimated GFA of 42,310 sqm and is expected to complete in 4QCY20. The total development cost is estimated to be S$181.2m, with an expected stabilised NPI yield of 6.4%. This project provides A-REIT with strong visibility, given the long 11 years lease term with annual rental escalations (renewal option of a further 5 years). 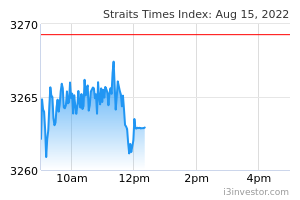 We maintain our forecasts and S$2.64 fair value estimate on AREIT.